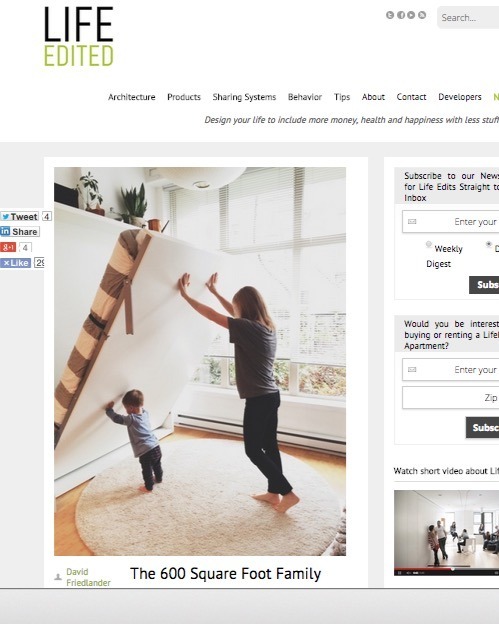 Wow so honored to have this little blog and our apartment featured on LifeEdited.com. Life Edited has been a huge inspiration for us and instrumental in our choice to live small. Thanks to everyone who clicked through to find us!